Increasing energy consumption, rising cost of non-renewable energy, efficacy scale generation, and helpful regulatory environment are documented as the major factors estimated to enhance the growth of the market for wind energy in the years to come. Offshore wind turbines will increase their substantial share of the wind turbine markets, because it may increase by orders of magnitude. 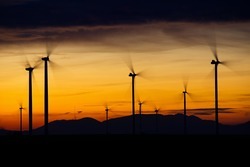 However, the onshore wind turbine sector is estimated to grow at a steady pace in the coming years. Globally, the Asia Pacific region is estimated to lead the overall market in the future, especially while China and India still push for more wind energy. However, Europe will keep a huge share of the market, because of its pioneering status. Many of the global players are located in Europe and operate from their original bases. According to Radiant Insights, worldwide markets are poised to achieve continuing growth as wind turbines prove their value by managing to capture significant amounts of renewable energy that can be used as electricity. Lowering electrical generation costs is a key benefit. Southern Europe is reactivating mature markets with auctions. Activating new markets in Argentina and Russia is being achieved. Excluding China, the global market demand for installations is expected to increase by 8% from 36 GW in 2017 to 45 GW in 2020. The global market for Wind Turbines at $157 billion in 2017 is anticipated to reach $254 billion in 2024. Vestas and GE among others are driving wind turbines as their clients are making further investments in development of renewable energy.